under Consume!, Old Media, Teh Interwebs. Lord Bell, who as Tim Bell advised Margaret Thatcher on the former British prime minister’s election campaigns, said he was sorry the situation occurred but was less apologetic about the content of the changes. “As far as I am concerned, we have done absolutely nothing wrong whatsoever … We did not make any change that was wrong, it’s a means and ends discussion,” he said. He bemoaned the lack of a “regulatory body” to complain to online, where reputations can be destroyed “in one minute”. That last assertion comes to you from a shameless liar who has spent decades destroying the reputations of others covertly for personal and political gain, and this behaviour continues into the 21st century. 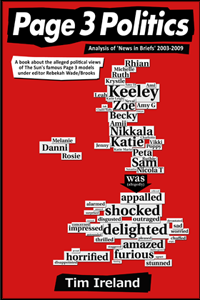 What comeback did any of these victims hope to have against Tim Bell’s anonymised attacks? This is blatant projection from a sock-puppeting liar, I won’t stand for it, and neither should you. Tim Bell’s straw man relies on the widely-held view that there is little-to-nothing wrong with lobbying on behalf of a client (OK by me), making factual updates to Wikipedia (OK by me), or attempting to put your best face forward in the top ten searches for your name/brand (OK by me)… but what Bell Pottinger have engaged in is secret lobbying, including some wholly unacceptable commercial updates to what is supposed to be a reference library, in an attempt to covertly influence both Wikipedia and the top ten searches for a series of names/brands. It is clearer now more than ever that if we wish to change how things are done at Bell Pottinger, the person we need to reach is Tim Bell, and we are going to reach him through the top ten search results for his name. We are, at the same time, going to attempt to bring about positive change in the PR industry as a whole. When I say ‘we’, I mean me and you. Yes, you. If you’re up for a bit of danger and detail, that is. Lord Tim Bell is Chairman of Chime Communications plc, a communications group which owns Bell Pottinger Group plc* (aka Bell Pottinger), the multinational public relations company that bears his name, and follows his principles. The problems Bell Pottinger have run into recently stem directly from Tim Bell’s long-standing resistance to transparency. He appears to think that secretly editing a reference library in favour of commercial interests in exchange for money is OK, and this ethical blind spot has been there since long before the web and Wikipedia became an issue. Mr Bell needs to learn that the age of secret lobbying is over, and while it may be difficult to change the mind of someone as obstinate as he, I think we have a jolly good shot at changing the landscape that surrounds him in the attempt. I invite you to join an informal lobbying group with one simple demand; that PR companies/professionals declare any profile(s) they use to edit Wikipedia, name and link to them plainly in the ‘About Us’ section of their website, and link back to that same website from their Wikipedia profile(s). Once PR companies/professionals declare these editing profiles and link to them from their sites (and link back to their own sites from these same profile pages), we enter Wikipedia territory. There is a significant debate to be had here about whether these profile pages generally should list all of the previous profiles/edits at the outset in a clear declaration of interest, but with the exception of Bell Pottinger and other bodies operating under Tim Bell**, personally I think it a matter for PR bods and Wikipedians to negotiate between themselves. It is not within my power to grant amnesty for any past indiscretions, and that is at the heart of that particular debate about any company who has not yet been caught out; should their new account be impacted by any of their past activity, and what measures can be taken to clean the slate? Getting back to the simple demand for transparency, we are going to face some resistance here from people like Tim Bell who do not agree about the need for it. To counter this resistance, we are going to speak softly and carry a very big stick. But first we are going to seek to bring vital perspective to the debate about transparency while initially demonstrating the effectiveness of our very big stick. Here we reach the part about making an example of Tim Bell. Tim Bell is all about shaping reality more to his liking by using image, lies and illusions to make others behave in ways that get him what he wants. He earns money by claiming that he is an expert in reputation management and his underlings make all sorts of claims about their capacity to ‘cleanse’ the top ten searches for names and brands by means both fair and foul. 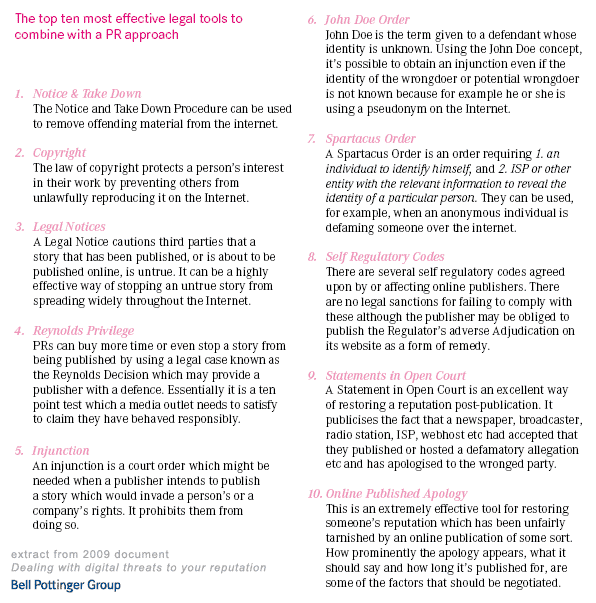 Seeing as Tim Bell rejects the concept of transparency outright, those of us who ultimately pay the price for his profiteering are going to have to impose some; we are going to displace much of the existing top ten with factually accurate and highly relevant material that Tim Bell would much rather faded into the distance. Note use of the word ‘relevance’ here; we do not seek to G-bomb anyone, but instead feed new and entirely legitimate relevance into the system. 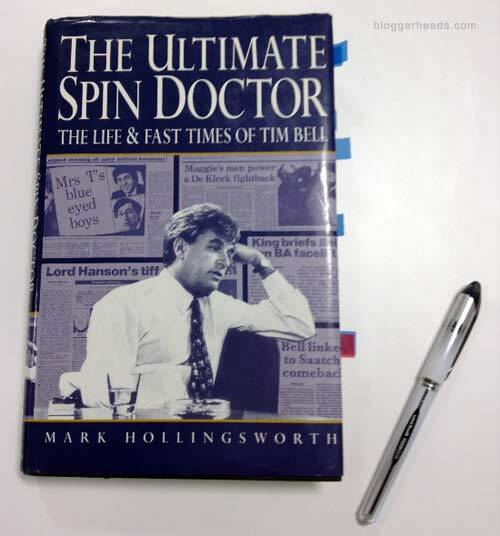 On my desk is a copy of The Ultimate Spin Doctor: Life and Fast Times of Tim Bell by Mark Hollingsworth. The contents are at present largely invisible to Google and other search engines. That is about to change. This is an unauthorised biography that Tim Bell tried very hard to prevent, and it’s a fair bet that Bell doesn’t want material*** from it populating the top search results for his name, not least because he is going to look like a hopeless manager of reputations if he cannot cleanse his own top ten. 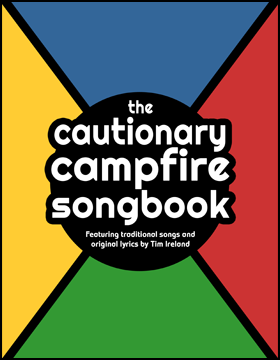 Chapters from this book will be shared out to participating bloggers who are part of our lobbying group. Each will then write a post based on any short extract they may choose to draw from the chapter assigned to them. In this way, the 10 chapters will be shared among an unknown number of bloggers, and the top fifty or so searches for ‘Tim Bell’ will begin to take on new relevance. Also, once I/we start releasing verbatim extracts from this published material, portions of it will begin to appear in Wikipedia, coalescing into legitimate points of reference on that page, which will probably remain the highest search result for his name. Those of us familiar with Teh Interwebs know that there’s a world of difference between your average Joe maintaining a single anonymous blog/identity and PR boffins using multiple false/anonymous identities on behalf of clients for money, and we can’t expect Tim Bell to learn that much in such a short time, but I am hoping that the prospect of dealing with an unknown number of anonymous account holders based in several different countries will help him to better appreciate his own position, if only to the extent of having him revise his policy on covert lobbying. Admittedly, there is a danger that within the group of people who target Tim Bell anonymously but legitimately, there will be people with a hidden vested interest who use this exercise as ‘cover’ to engage in a little subterfuge for reasons of profit, politics or personal payback (i.e. to attack him illegitimately), but should Tim Bell change his mind and decide all of a sudden that he doesn’t think it appropriate to lobby covertly, then my support for anonymous briefing against him will fall away naturally, as will that of others. Should Tim Bell fail to take advantage of this opportunity, we can go about making an example of the man with our consciences clear and our position unassailable. Should he unexpectedly take the opportunity to embrace transparency, the effectiveness of our very big stick will be clear to others, who will take note. The nature of this campaign should make it clear that these changes are in line with public expectations about what is fair and right. Those in PR who believe otherwise will, of course, be free to lobby for secret lobbying, and I wish them luck. They’re going to need it. The landscape of PR is about to change. Clear boundaries are about to be set, and the covert lobbyists who operate outside of them are about to become far more obvious than they would prefer. This entry was posted in Consume!, Old Media, Teh Interwebs. Bookmark the permalink. 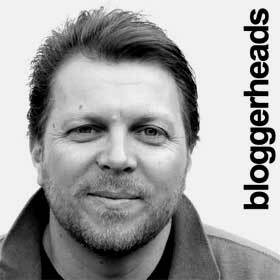 6 Responses to "The PR Transparency Project – Part 1: making an example of Tim Bell"
Yes. And I’m sure Mr Bell never ever thought “where reputations can be invented in one minute”. No. Never. “We did not make any change that was wrong” – so there are changes that ARE wrong. Crikey. I wonder what they would be? Still he can’t plead ignorance if he’s stated he’s already considered what was right and what would be wrong. SourceWatch is entirely distinct from Wikipedia. You may find a copy a little faster on eBay. Just a note on Wikipedia – it doesn't require sources to be online – it just requires the source to exist. This is a published paper source that passed UK libel muster, so it would almost certainly be sufficient.